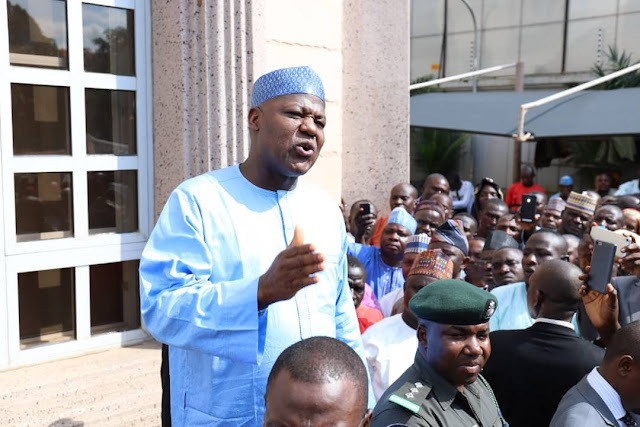 Although he has not come out to announce his defection, the recent move by the speaker of the House of Representatives, Yakubu Dogara, points to the fact that he has defected to the opposition party,PDP and would soon make his position known. Last night, Dogara who was elected to represent Bogoro/Dass/Tafawa Balewa federal constituency of Bauchi state in the House of Representatives on the platform of APC in 2015, received the PDP House of Representatives form to contest in the 2019 election. The speaker picked the form on Wednesday, a day after dozens of his constituents travelled to Abuja from his home state of Bauchi to persuade him to seek re-election. His colleague, Senate President Bukola Saraki, defected from APC to PDP in July.